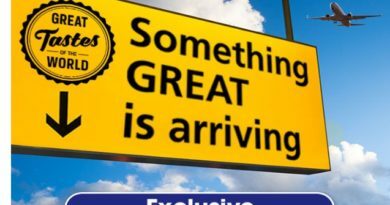 Great Tastes of the World confirmed for 2018 return! We have had the following information come in from an anonymous source. Week one and two (26/09 to 09/10) will be The French Stack. Details here. Week three and four (10/10 to 23/10) will be The Swiss Stack – our review here. Week five and six (24/10 to 06/11) will be The Brazilian Stack. Details here. 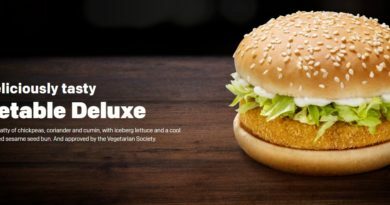 The rumour then for week seven and eight will be the Big Tasty… take that as you will at this time. Also on the menu, the returning Jamaican Chicken and the Smarties McFlurry. Popular cheese side the Spicy Nacho Cheese Wedges will also make a return – our review from 2016 here. 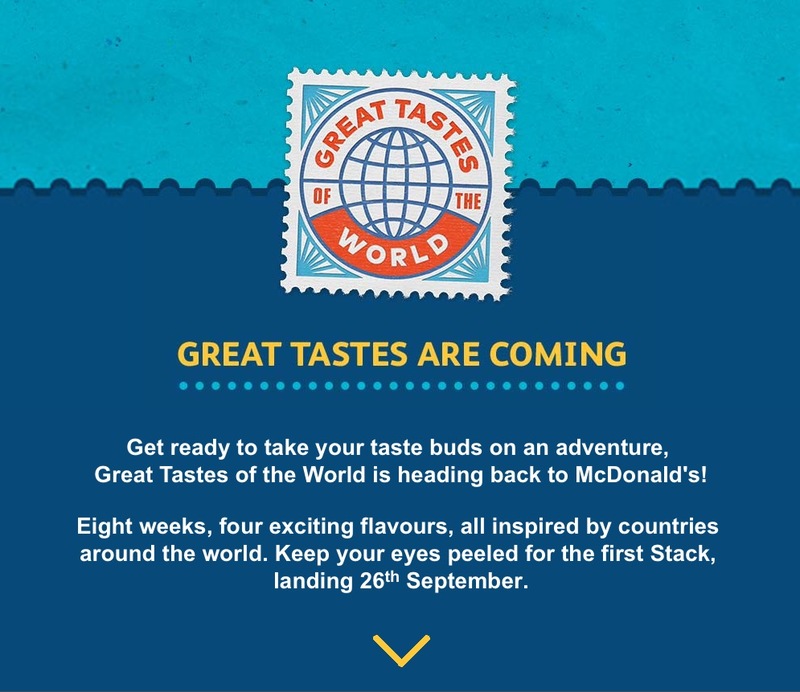 The email has just landed – Great Tastes of the World will return to McDonald’s from Wednesday 26th September. The line-up is unknown at this time but you can bet you’ll hear about it here first. Let’s have a look at last year and see which of these stacks could return for the 2018 promotion. 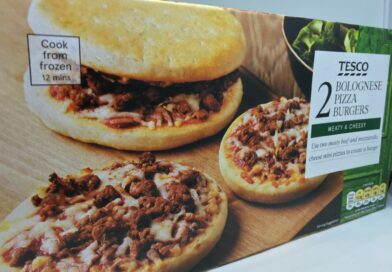 Firstly, the 2017 GTW only ran for six weeks and we got three beef options but this year there will be four alongside the obligatory chicken (selects) option. 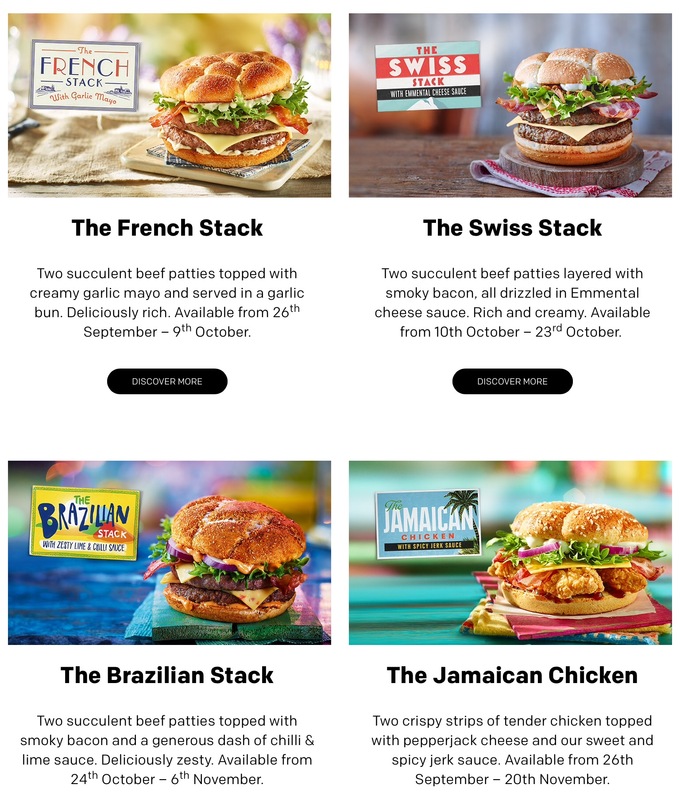 So there was the Swiss Stack, the South African Stack and Italian Stack in 2017 with the Jamaican Chicken – which of these (if any) would you like to see return in 2018? 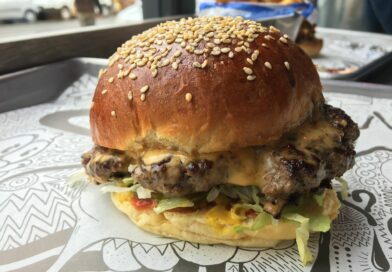 Are you looking forward to the end of the Big Tasty and the start of Great Tastes of the World 2018? 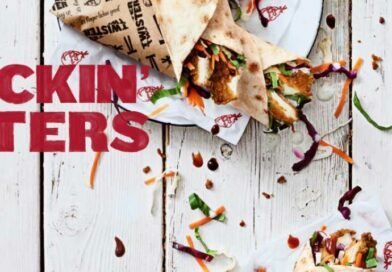 Looks like this LTO will take us right up to the Festive Menu where we have speculated that Loaded Fries will make their UK debut. 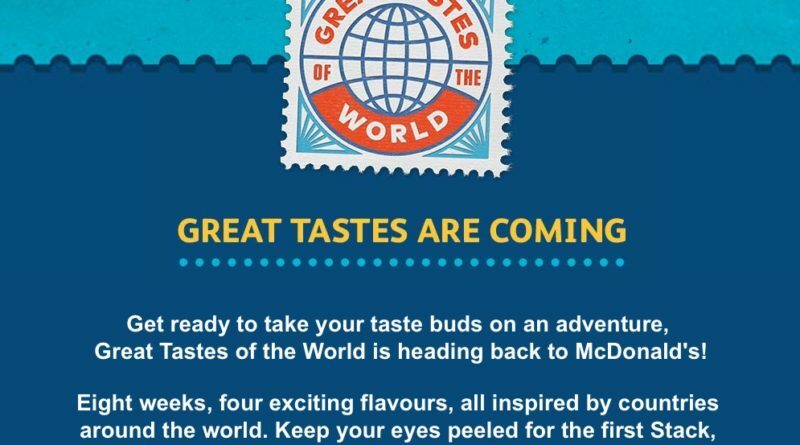 Great Tastes of the World returns to McDonald’s from Wednesday 26th September. 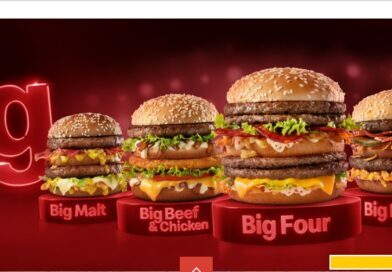 McDonald’s have done a ‘Brazilian’ burger before in GTW – The Brazilian Spicy was available in 2015 and will be interesting to see how similar the new stack is. 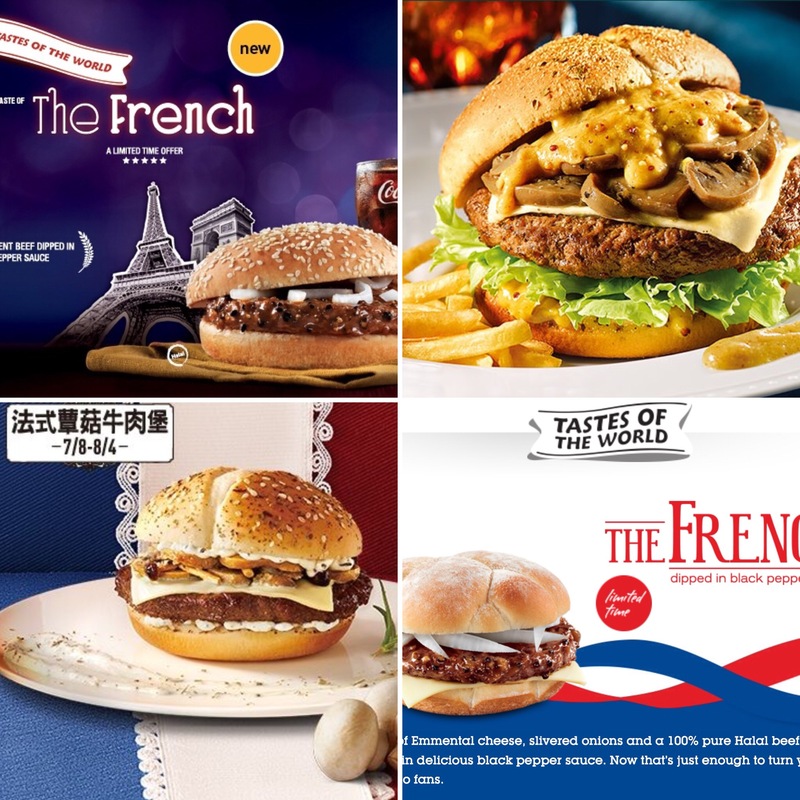 The French Stack sounds intriguing – how will it compare to other ‘French’ burgers released around the world (pictured below are from Saudi Arabia, Taiwan and Kuwait)? 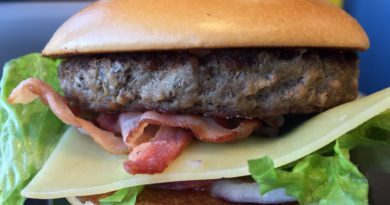 Will we finally get mushrooms on a UK McDonald’s burger? I’m betting there is a garlic and/or black pepper influenced sauce. I can’t imagine we’ll get the patties dipped in black pepper sauce like in some of the images above.